If you are like most people, you want to start the new year off right and make some healthier choices. You’ve probably thought about cleaning up your diet, and trying to lose weight; but have you also considered detoxification? Our bodies can accumulate toxins from various sources such as chemicals in the environment and pesticides found in food. Doesn’t the body detoxify on its own? Yes, this process is something that our bodies do every day. The liver, which is the main location for detoxification, contains a number of enzymes that work to break down much of the food that we eat, as well as many of the chemicals that we come in contact with or ingest, including many medications. 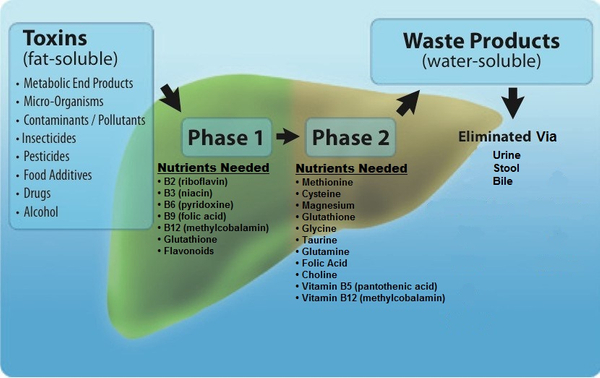 In the liver, detoxification occurs in two phases. Phase 1, alters toxins, through different processes, to prepare them for phase II. Phase 2, which is elimination from the body, via urine, bile, or stool. The GI tract and the kidneys also have roles in breaking down and eliminating harmful chemicals, or toxins, from the body. Today, we are exposed to chemicals of all kinds: pollutant run-offs in the water, pesticides, additives in food, heavy metals, anesthetics, metabolites from drugs, and environmental hormones. The constant exposure to toxins can cause them to saturate the tissues, deplete antioxidants and minerals, and put stress on the immune system. So yes, your body does process and remove toxins on its own, but the question is: how well is it keeping up with the toxins that are coming in? So what happens when your body can’t keep up? One way to tell is to ask yourself, how do I feel? If you have been tired, bloated, constipated, have muscle and joint pain, or having difficulty with memory and concentration? Then you may need to help your body out and start a detox. So what can you do? Keep in mind that the toxins didn’t build-up in your body overnight, so you can’t safely remove them overnight. It is a process and takes some effort and commitment. 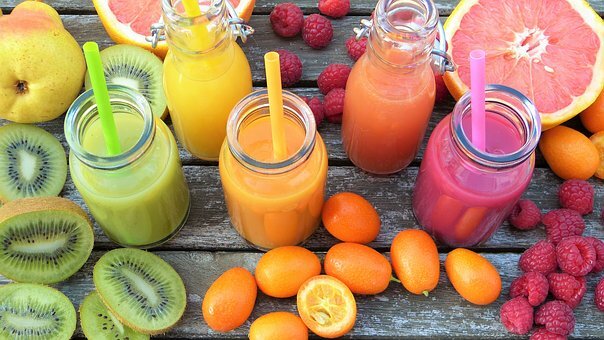 Detoxification may sound like a scary word, but the benefits of a healthy detox could be exactly what you need to get your body back on track. You can expect to have a significant improvement in the way you feel. A healthy detoxification program shouldn’t interfere with your day to day activities and should last at least 2 weeks, but generally about a month. 1. Elimination: This step will clean out unwanted pollutants and toxins from the intestinal tract and major organs. Your body needs certain vitamins, minerals, and antioxidants to start the elimination process. Phase 1 requires vitamins B2 (riboflavin), B3 (niacin), B6 (pyridoxine), B9 (folic acid), B12 (methylcobalamin), glutathione, and flavonoids (from fruits and vegetables). Phase 2 requires methionine, cysteine, magnesium, glutathione, glycine, taurine, glutamine, folic acid, choline, and vitamins C, B5 (pantothenic acid), and B12 (methylcobalamin). 2. Rebuilding healthy tissue and restoring energy: This step is important because once the toxins are removed, the body needs nutrients to rebuild, re-regulate, and remain healthy. Eating fresh, local produce, drinking lots of water, and continuing to supplement with multivitamins and other minerals and antioxidants that your body needs to support complete healing. 3. Maintenance: Lifestyle modifications are key to keeping your body resistant, and whole. A healthy diet can sustain a healthy gut. Vitamins and antioxidants can provide the nutrients needed for the continuous detoxification in the liver, and other organs and also allow the immune system to continue keeping us alive and well. If you are ready to take the leap into better health, Annie’s has all the tools you will need. We offer a great support system, in addition to all the vitamins, minerals, and antioxidants that you will need to have a successful detox. We carry only the highest quality supplements, and we would love to help you get started! Stop by, Monday-Friday 9am-5:30pm or give us a call at 830-981-4774.